Bias Tee/Diplexer - Taylor Microwave, Inc. The Bias Tee/Diplexer thats well suited for remote power supply of LNB and Block Up Converters. 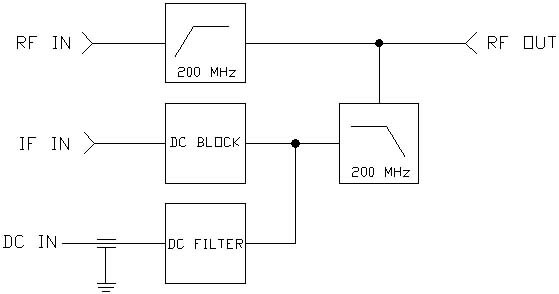 This module includes bias tee and a diplexer from 5 to 200 MHz reference frequency. It can be used to put the supply voltage and an external 5 to 200 MHz reference frequency on the RF Output.